Yes, it does get cold (if you’re concerned about global warming, come to Russia in the winter) but summers can be scorchingly hot, with spring and autumn seeming to last only a few weeks. However, buildings are well heated, often excessively so and it’s a drier cold than in Europe, so if you wrap up in appropriate clothing, you’ll be fine. Sure, a lot of vodka gets drunk, although beer has in fact overtaken the clear stuff as Russians’ choice of tipple and wine and cocktails are increasing in popularity amongst the middle classes. Granted, there may not be many abstainers and Russians still refer to vodka as “water of life” but there’s more sobriety than you may think. Lunchtime drinking in the corporate world is almost unheard of. If you travel on the metro in the mornings, you’ll certainly see many glum faces and yes, it is rare for Russians to smile for no reason. Why? Some blame a combination of the poor weather, at least in the winter, a turbulent history, especially in the past century coupled with a general mistrust of outsiders (it didn’t pay to be inquisitive during communist times) and difficult living conditions for most, even today. There is another explanation, in that Russians view someone with a permanent smile as somewhat akin to the village idiot, and smiling without a reason is deemed insincere. If someone doesn’t smile at you, it doesn’t mean that they don’t like you (don’t take offense – it’s nothing personal), but if they do smile, then chances are that you’ve made a favourable impression on them. Stories about the fabled Russian mafia might make great headlines for lazy journalists but the days of shootouts in broad daylight and kiosks being blown up are long gone, and were in fact highly exaggerated in the first place. 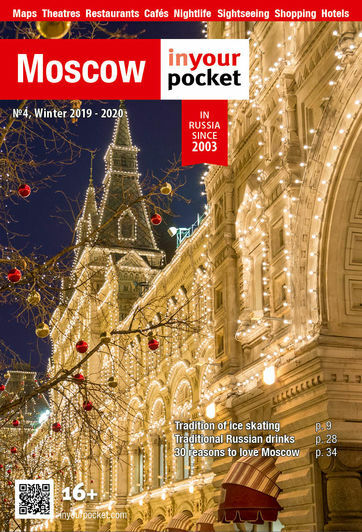 Sure, Moscow has its fair share of petty crime like any other big city, but the majority of crime against foreigners occurs due to drunken misunderstandings with the Police or taxi drivers (and/or with recently-met local women when under the influence). Speaking some Russian or having a Russian friend/colleague generally prevents such issues as does local knowledge and not acting as though you’ve just arrived in town. Russians will tell you to avoid the outskirts of Moscow in the evenings but there’s little to see or do there anyway, and the centre of Moscow or St. Petersburg is probably safer than your hometown at night. 5. I can’t understand the funny writing – how will I get around?! Russian uses the Cyrillic alphabet, as do nearby Belarus, Bulgaria, Ukraine, Kazakhstan, Kyrgyzstan, Tajikistan, Mongolia and parts of the former Yugoslavia. It’s much less daunting than it first appears (some of the letters are the same, or similar to their Latin equivalents) and English language signage is on the increase, particularly in Moscow, St. Petersburg and other places where foreigners may venture. Many of the world’s largest and best known multinational organizations are present in Russia, and run successful, profitable operations. Most have been here since the 1990s; they are audited and scrutinized both locally and internally, and simply wouldn’t tolerate an environment where they couldn’t run a clean business. Nobody is pretending that it’s plain sailing but it’s much less of an issue than the international media would have you believe.